Dr Patricia Jordan, an American veterinarian, is a warrior; a blessing to this Earth. She had seen my Science of Vaccination article and told me it had a profound effect on her. We featured this interview with Dr Jordan in our April 2009 CHC newsletter, heralding the arrival of her extensively-researched book on vaccination, The Mark of the Beast. 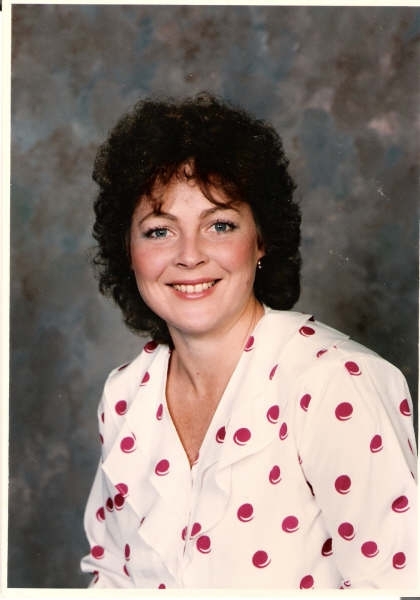 Dr Patricia Jordan is one of my heroes – she has literally sacrificed her life and her career to help the animals and redeem the veterinary profession. I cannot say enough in her praise. Q: What made you want to be a vet? A: I love nature, being in appreciation with the outdoors, the animals, the sounds of nature, and I was enthralled with biology and science. When I went to the vet with our family dog, I was proactive in trying to understand what they were doing to him. As I became older, I felt that veterinary medicine needed more compassionate members and despite being discouraged by both my father (who told me I was not wealthy enough or smart enough) and my high school counsellor, who said it was too difficult to get into a school … despite all of that, I set my sights on getting there. Q: As a veterinary student in college, did you notice a high presence of pharmaceutical and pet food companies? Was sponsorship by big business evident to you at that time? A: Of course – that was the only way we learned … coming through as wide eyed senior students, the only book we ever got on nutrition was from Hills “Science” and of course the teaching hospital was stocked with free inventory from Hills. Therefore all I learned about nutrition was the Hills propaganda. Of course, for the vaccines, we were stocked with free product and I understand this still continues today, with our most eminent institutions of higher learning dolling out the vaccines that cause the most highly adverse effects. We got nothing but propaganda when you think of it, as rarely are your instructors anything but academic fodder. A particular peeve of mine is that “Dinners of Disinformation” are the continuing education for veterinarians. For example, pure hogwash at the vaccine industry dinner that I attended, pushing their latest version of the feline vaccines and providing junk science that is so much propaganda. I have attended plenty of them and can only say that I have documented with photos, tape recordings and video footage that these programs are about conflict information, propaganda and seducing veterinarians into pushing their drugs and vaccines – a worse good old boys club there never was. To see this on a much broader scale all you have to do is attend the national meetings, which I stopped after nine years of that nonsense. It is criminal that any professional is able to get credit for attending that dribble – and that propaganda is the only continuing education most professionals receive. Also, we would get scholarships, textbooks, equipment, free poison for our own pets, clothes, trips, prizes … yes when one calculates the heavy toll that propaganda has … even the free publications that disguise themselves as legitimate researched articles, it is a cycle of professional deception worse than the unrecognised and unacknowledged adverse effects of those wares. Q: When did you start to become disillusioned with conventional veterinary medicine? A: By the time I had been out in practice for seven years I knew that western medicine not only didn’t work, but that it was responsible for making more disease and more death. I found it de-constructed health rather than built health. I never did embrace Hills “Nutrition” and never sold a bag of that through my practice. I had never linked the benefits of yearly immune assaults with over administration of vaccines, so my patients did not have the serious amount of disease that I saw coming from practices that embraced the full potential of aggressive “preventative health” measures based on western medicine. Luckily for me, NC already had the sense not to support yearly rabies vaccines and thus, until I went North to Massachusetts, I was protected from the total immune annihilation I saw occurring with the most aggressive vaccination programs imaginable. The practice in Massachusetts not only supported over vaccination, and with the most highly adverse vaccines available, but they verbally chastised me for spending any time talking to clients about their pets’ diets, preferring instead to push whatever they had overstocked from their veterinary supply company. The experience was so traumatizing that it was really my first experience with a host of money doctors or business veterinarians that are so prevalent in our profession. Q: Did you have ‘an awakening’? A: My awakening came in 1989 when I saw with my own eyes, a veterinarian purposely causing disease with the use of vaccines and drugs. He had used a hormone therapy in a cat and then charged for working up the mammary problem it caused. I questioned him on this and he yelled at me. I later saw him performing surgeries on congenital defects that were allowing the congenitally defected animal to be shown in dog shows. I finally witnessed him strangle a pet to death and through all of this, I realized that there was a very ugly truth in veterinary medicine. There were those who used these drugs and vaccines knowing that they would generate more and more and more money for them through the propagation of more medical problems. It was at that time I left working for that business veterinarian and opened up my own practice. I didn’t know how bad the problem had become until I found myself in the last three years working once again for another business veterinarian. I still am traumatized and, having been licensed in over 13 states and visiting practices all over the United States, I was very upset to learn that this money business medicine was more, much more, prevalent than I could have imagined. Sadly, also, I felt betrayed for, ironically, there has been an association with the veterinary profession being known as “the other family doctor” and “the compassionate profession”. I suppose I aged a lifetime when I realised this. I also felt more alone than ever. Q: When did you first see a vaccine reaction for what it really was, and what effect did it have on you? A: I first saw a vaccine reaction when a company salesman pressured me so badly that his vaccines were so safe and so much better than the ones I had previously stocked. I allowed him to leave only one tray. I had a client who brought her cat in and since I had run out of my preferred vaccine, I administered that product. I have to be thankful that the reaction in that patient was immediate. The owner was worried that her cat would die, it was a full blown anaphylactic reaction, and I’m so grateful I was able to help the cat survive. I was so grateful that kitty did not die, and he came very close. You can imagine what I did with those vaccines. I should have never allowed him to talk me into using them. Even running out of the other and for whatever reason, I should never have administered the vaccines from the company known to have the most adverse events. Later, when I saw animals that were aggressively over vaccinated yearly and saw their health destroyed by the time they were four or five, I knew it was the immune system’s reaction to these yearly assaults that was the link to the diseases – autoimmune disease, cancer, so much chronic disease when they were aggressively administering vaccines, drugs, poisons and toxins. It was only three years ago that I realised that everything – the demodex we treat, the fungal infections we treat, the parasites, and most of the infectious diseases – all were in actuality coming from the adverse results of vaccinations. I mean, you vaccinate a puppy into immunosuppression and then they break out with disease. The T cells fall out from the vaccines and then you get demodex, parasites, fungal infections. Once I saw what was happening in those patients, it was not hard to track the road of pathology. Looking into the research, it’s all there – the cancer from the vaccines is not exclusive to cats and fibrosarcoma. Vaccines are full of genetic mutators and carcinogens and protein sequences that are causing the Lyme Disease Syndrome etc. Also, I could see, once the veil was removed, just how hard our profession works to “not see” any effect of what our very own hands have done. Once enlightened, I tracked down the research and I found it. I have almost 250GB of it, from not only veterinary research but also in human research papers. I now understand how much better humans are than dogs and cats at deflecting genetic transmutations and mutations (to a certain point). I realise the much greater assault on the animals undergoing yearly immune assaults from vaccines and then the poor quality of nutrition (which really is the foundation of good immunity). I then understood why the problems were so much more frequent in the animals. I was so frustrated when I realised that what we do in the name of business is the biggest form of job security – from a profession that needs a license to have the privilege to practice. A: There is so much angst between conventional veterinarians and the truth. With truth comes responsibility and that is simply too much for most to bear. I mean, I have had conventional doctors tell me, “I am too old to learn anything new”. I have heard them say, “I don’t care, they can’t make me stop,” and the new vets, who are still under the delusion that there is only good intentions behind those who pushed their company’s version of health into their faces, into their bank accounts, into their student loans, car payments, exalting their ego, and the list goes on and on and on … many can’t see truth. I have to admit, I now have no tolerance for them, they can’t face facts, and I can’t stop finding the research that proves the medicine and the vaccines and the poor foods are the bulk of the disease process. Once I realized that I was “working with the enemy”, that they don’t call it the medical mafia without reason, I even called the AVMA and they suggested that I find another job. Q: If you were a vet from the future, here to change and uplift the profession, what changes would you want to see happen? A: I now see where health comes from. It comes from nutrition. It’s probably no secret now that veterinary and medical doctors get little to no nutrition training in school. I believe that this is because the pharmaceutical companies are set up for health de-construction, not health, and cause more disease. They change the face of disease but never treat the root of the disease. I was so surprised to find out that it was gene theory and certainly not germ theory that was the key to understanding health. Pasteur, I have found, was dreamed into being credited with how to treat disease. Instead it was Antoine Beauchamp and his understanding that the individual’s terrain (immune system and body mind) determined health. And then only in the last three years did I discover that this was through the gene theory. Our genes can be affected by the air we breathe the water we drink and the sunshine we exist under, and optimal nutrition is the best vaccine against disease. I would train the vets of the future in optimal nutrition, naturopathic medicine using herbal medicine. Like Hippocrates said: “let food be your medicine”. I would embrace the work of Antoine Beauchamp and understand that the innate wisdom of the individual is what we have to support, as Clements Von Piquet determined. It’s more important what’s in your kitchen than what’s in your pharmacy … and hear the wisdom of Dr Shannon of the NIH who stated famously that the only safe vaccine is the one that is never used. I am excited as I travel down the path of energetic medicine and trace out the path of quantum physics to illuminate the biophotons in food and intention in our DNA, in unlocking the real knowledge to working with dis-ease and dis-harmony, using Homeopathy and Reiki, Spinal Manipulation, sound, colour and aromatherapy to effect the shifts towards cure – and never picking up another synthetic drug or administering a chemical poison or injecting a blood poisoning vaccine ever again. I look for the day that, as Dr Richard Pitcairn wrote in his paper, A Foolish Practice, that he predicted, “in 50-100 years the idea of injecting disease to cure disease will be seen as dangerous as bloodletting and pure mercury administration”. In other words, the greatest medical assumption ever made will be looked back upon with shame and horror. Dr Patricia Jordan has given up her career and income to research and share information that will bring better health to our pets. The problem is that it’s rarely possible to prove that an individual animal is vaccine damaged, even though the science points towards probability. Scientists use the word ‘anecdotal’ to discount the illness or death of an individual animal and any suspected vaccine link. Further, veterinary vaccine manufacturers might pay veterinary costs associated with illnesses that arise post vaccination, but they frequently deny any culpability (it’s just a “goodwill gesture”), and they frequently make pet owners sign gagging orders before money is handed over – which of course means that they are no longer allowed to talk about their friend in relation to the potential cause of his death or illness. It is clear to me that both inflammatory (anything with ‘itis’ in its name) and immune-mediated illnesses need to be assessed in relation to previous vaccine events if the full consequences of vaccines are to be understood. We must also consider longer-term effects of repeated vaccination. As you will see, there is much we do not know, but the known science does point the way towards caution – especially since we now know that, once immune, dogs are immune to viral disease for years or even life. Vaccine datasheets state that they are for use in healthy animals only; this is a licensing requirement. Sick dogs should not be vaccinated – but they routinely are. Intervet’s datasheet for Nobivac DHPPi states: “Immunocompetence of the animal may be compromised by a variety of factors including poor health, nutritional status, genetic factors, concurrent drug therapy and stress.” This refers to some animals being unable to mount an immune response to the vaccine challenge, in which case they can develop diseases such as parvo or distemper from the vaccine. It may also explain why disease outbreaks occur in heavily vaccinated, stressed and malnourished dogs in rescue centres. But there is more to it. Many vets believe that we should vaccinate animals who exhibit the sort of chronic illness listed above, as they may be more at risk from viral disease. However, it seems, individuals exhibiting features of B and T cell immunodeficiencies might be more at risk of vaccine-induced illness or fatality. Even if your dog ‘just’ has skin problems, a vaccine could kill him. The implication is cancer, since lymphocytes attack infected and cancerous cells, and vaccines are shown to disable lymphocytes. It is of course accepted that cats develop vaccine-site sarcomas. Dr Dennis W Macy, stated, “I estimate there are about 22,000 cases of [feline] vaccine-associated tumours per year… it is likely that the more vaccines given in a particular site, and the more vaccines given over time, the higher the chance of sarcoma development.” (8) An Italian study has shown that vaccine-site sarcomas also occur in dogs. (9) But more on cancer later. In the Purdue study, a group of Beagles was routinely vaccinated and closely followed for three years with blood and other tests at regular intervals. The blood of all the vaccinated dogs were seen to contain significantly elevated concentrations of antibodies directed against proteins that are present in commercial vaccines as contaminants of the production process. None of the unvaccinated control dogs had similar increases in these antibodies. The contaminated proteins were typically of cow origin, since foetal calf serum is used as a component in the growth media used to grow viruses for vaccine production. Dog and cow protein are very similar in structure, and the Purdue team felt that antibodies produced by the vaccinated dogs might have cross-reacted with the dogs’ own tissue proteins in a process similar to autoimmunity. The team added that experiments in other animal species suggested that the antibodies might eventually cause disease in the vaccinated animals. The biochemicals seen to be under attack in this study included fibronectin, laminin, DNA, albumin, Cytochrome C, cardiolipin and collagen. I wondered what the significance of these autoantibodies might be. Fibronectin is a molecule involved in tissue repair, the formation and growth of embryos; blood clotting; and cell migration/adhesion. Laminin surrounds muscles, nerves and fat, and is involved in may cellular activities, including the adhesion, spreading, differentiation, polarisation, proliferation and movement of cells. As a layperson, this seems to indicate that the vaccine process scrambles the innate intelligence of cells and threatens tissues and organs. Albumin is a protein manufactured by the liver which enables fluid to remain in the bloodstream rather than leak into tissues. If albumin gets low, fluid builds up and inflammation can occur in the body. Importantly, fatty acids are carried with the aid of albumin to cells in the body. Fatty acids are the building blocks for lipids, which form all of the membranes around and inside cells. Fatty acids are essential for life, and albumin is essential for their distribution. Antibodies against Cardiolipin were also found in the Purdue study. Anti-Cardiolipin autoantibodies (ACA) are frequently found in patients with systemic lupus erythematosus (SLE). They are also found in patients with other autoimmune diseases, as well as in some with no apparent underlying disease. Elevated levels of ACA have been reported to be significantly associated with thrombosis, thrombocytopenia, and recurrent foetal loss, as well as neurological conditions. Autoantibodies to Cytochrome C contribute to Cytochrome C Oxidase Deficiency, so far thought to be an inherited metabolic disorder. Deficiency of Cytochrone C Oxidase may be limited to the tissues of the skeletal muscles or may affect several tissues, such as the heart, kidney, liver, brain, and/or connective tissue; in other cases it may be systemic. The disorder may be characterised by a generalised weakness of skeletal muscles, abnormalities of the heart and kidneys, and/or abnormally high levels of lactic acid in the blood. Other forms of Cytochrome C Oxidase deficiency are characterised by progressive degeneration of the brain and dysfunction of other organs of the body, including the heart, kidneys, muscles and liver. Symptoms may include loss of previously acquired motor skills, loss of appetite, vomiting, irritability, and/or seizures. The Purdue study also found that vaccinated dogs were developing autoantibodies to collagen. About one quarter of all the protein in the body is collagen. It is a major structural protein, forming molecular cables that strengthen the tendons and resilient sheets that support the skin and internal organs. Bones and teeth are made by adding mineral crystals to collagen. Dr Glickman, it should be noted, is a strong pro-vaccinator. 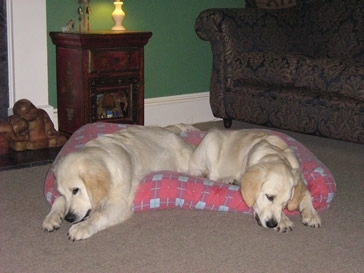 The study dogs were re-homed and no follow-up studies were conducted. Many species are used in vaccine manufacture, including monkeys, dogs, cats, hamsters, and avian embryos. Bovine serum, used as a carrier in vaccines, was a concern during the BSE outbreak due to potential cross-species infection; foreign serum and animal protein also threaten inflammation and autoimmunity. Having seen an article in which I quote the Purdue study, Andrew Maniotis, Ph.D., Visiting Associate Professor of Bioengineering: Program of tumour mechanics and tissue regeneration, University of Illinois at Chicago, contacted me. He wrote: “I don’t think it is coincidental that two of the molecules that the vets find (especially the tissue-controlling two molecules laminin and fibronectin) that are deregulated in vaccine-induced, cancer-harbouring animals, are the same ones we have found reverse, kill, or promote tumours. The hypersensitivity or inflammatory reactions commonly associated with vaccination can, therefore, be the beginning of cancer and many other conditions – and not just at injection site. According to Kennel Club research in the UK, one in four pedigree dogs now dies of cancer. Perhaps most worryingly, the Purdue study found that the vaccinated dogs were developing autoantibodies to their own DNA, which indicates that we are injecting inheritable damage into animals. According to Cambridge Life Sciences, antibodies directed against native DNA were first detected in the serum of patients with SLE in the 1950s. The presence of anti-DNA autoantibodies is one of the four highly specific serological markers included in the 1982 American College of Rheumatology criteria for the classification of SLE. The more of these antibodies an individual has, the higher the disease activity. Long term risks include renal and central nervous system involvement. SLE is an autoimmune disease characterised by inflammation and destruction of a variety of tissues. Clinical presentation is varied, but a common feature is the presence of a number of autoantibodies. Canine autoimmune haemolytic anaemia, which also occurs in isolation, can form part of the SLE syndrome. The other common manifestations of SLE are platelet deficiency and inflammation in blood vessels, joints, skin, peripheral nervous system, meninges (which protect the brain and spinal chord) and the thyroid. A paper entitled ‘Vaccine Associated Immune Mediated Haemolytic Anaemia (IMHA) in the Dog’ (15) states, “This study provides the first clinical evidence for a temporal relationship of vaccine-associated IMHA in the dog.” However, the Merck Manual had made this association earlier. The study remarked that there was a marked difference in frequency of IMHA between the first month after vaccination and subsequent months which was not seen in the control group. The authors concluded that, because not all cases are reported (none of the cases in their study had been reported), the prevalence of vaccine-associated IMHA is likely to be under-estimated. Dr Patricia Jordan has uncovered a scientific paper (Journal of Virology, April 2010, p. 3690-3694, Vol. 84, No. 7) which describes the testing of veterinary vaccines for dogs and cats from both the UK and Japan. Several routinely used vaccines were shown to contain retrovirus contaminants. This study shows that the methods currently employed to screen veterinary vaccines for retroviruses should be re-evaluated. From a pet owner’s perspective, it doesn’t go far enough to alert us to the potential consequences of manufacturing failures. I believe that we should also concern ourselves with vaccine shedding. In the DVM round table discussion mentioned earlier, Dr Rude asked whether the shedding of modified live virus vaccine viruses from vaccinated animals have the potential to cause disease in non-vaccinated contact animals of the same species and/or different species. The conclusion was ‘yes’. The 1988 Concise Oxford Veterinary Dictionary postulates that parvovirus “originated from an attenuated feline enteritis vaccine strain”. (17) The question is whether this was from shed feline vaccine, or injected canine vaccine grown on cats’ kidneys. A review article in In Practice, Vol 20 No 2, Feb 1998, by Michael Day, senior lecturer in Veterinary Pathology at the University of Bristol (19) states that environmental influences are crucial to the expression of immune mediated disease and that the most important of these is likely to be exposure to microbial antigens following natural infection or vaccination. Mr Day divides immune mediated disease into four main groups – hypersensitivity diseases, autoimmune diseases, immune system neoplasia (the formation of tumours) and immunodeficiency diseases. Rheumatoid arthritis is, of course an autoimmune condition in which there is inflammation of joints and progressive erosion of cartilage and bone, which reflects the autoantibodies to collagen found in the Purdue study. In the 1996 Canine Health Concern vaccine survey, we found that a high percentage of dogs with arthritis in the survey were diagnosed with the condition in a cluster nine months after a vaccine event. Dermatitis, another inflammatory disease, has also been linked to vaccination. A study conducted by Frick and Brooks in 1983 showed that dogs predisposed to develop atopic dermatitis didn’t develop this hereditary condition when exposed to an allergen and later vaccinated. But a second group who were vaccinated before being exposed to the allergen did develop the condition, indicating that vaccines can play a role in skin disease. The trial group also developed conjunctivitis. Merck also tells us that serum (which is used in vaccines) can cause Type III hypersensitivity reactions, including an inflammatory skin condition involving painful local lesions leading to tissue necrosis (tissue death), as well as widespread vascular injury. Although rare, I have come across three cases of dogs whose skin began to split post-vaccination. One case involved a Golden Retriever called Spangler. Some of Spangler’s dead and dying skin was sent by his vet to an independent laboratory, which could neither confirm nor deny that his death was related to vaccination. Very early reports of vaccine adverse effects, incidentally, talk widely of leprosy developing in those who were vaccinated. Think of all the epileptic dogs, and all of the dogs showing aggression, and start asking questions about the onset of these problems in relation to vaccine events. If you are going to vaccinate, keep detailed, dated, records of your dog – his mental and physical health, and veterinary interventions. Epilepsy is listed by Merck as a symptom of encephalitis, and we know that encephalitis can be vaccine-induced. Merck states: “noninfecious causes of encephalitides include … vaccine reactions: many”. It adds that epilepsy can be caused by “CNS infections (meningitis, Aids, encephalitis) and also by a foreign serum or drug allergy, or by convulsive or toxic agents”. See also Ballerini, Rico B et al., Neurological Complications of Vaccination With Special Reference to Epileptic Syndrome (Review Neurol, Jul-Aug 1973; 43: 254-258). Scientists other than the politically, but not morally or scientifically, discredited Dr Andrew Wakefield have discovered a vaccine-autism (neurological) link. For example, the Department of Paediatrics, Tokyo Medical University, Japan, found the measles virus in patients with inflammatory bowel disease and autism. (28) The sequences obtained from the patients with ulcerative colitis and children with autism were consistent with vaccine strains. I find it interesting that on the one hand demyelination is deemed a congenital problem, but on the other it is clearly laid at the vaccine table. This makes me ask whether dog breeders are responsible for many so-called genetic problems in dogs, or whether it’s because we vaccinate puppies before their true personalities and health status can be assessed. Paresis is another potential sequel to encephalitis; Merck describes paresis as: “Muscular weakness of neural origin. It is usually regarded as a state of partial or incomplete paralysis, resulting in a deficit of voluntary movement. Paresis may result from lesions at any level of the descending motor innervation pathway from the brain.” In addition to my own four-year-old Golden Retriever, Oliver, presenting with paresis of both hind limbs before dying suddenly, I have been presented with many other anecdotal reports of dogs suffering paresis shortly after vaccination where the vets suspected no link to their vaccines, and no adverse event reports were filed. My own view is that we should take on board Dr Schultz’s statements made as a result of his duration of immunity studies, namely that, “Once an animal is immune to viral disease, he is immune for years or life”. Dr Schultz was motivated to conduct his studies when he reflected that children didn’t need vaccinating every year, so why do dogs? It is also worth noting that no science has ever been put forward to justify annual vaccination, or three-yearly vaccination for that matter. With regard to the controversial leptospirosis vaccine and its known ability to stimulate anaphylaxis and encephalitis, its poor record of efficacy, and the fact that leptospirosis is a relatively rare disease, I go along with Dr Schultz’s own views that this vaccine comes with more risks than benefits, and that its use is questionable. In view of the risks of any vaccine, informed guardian consent would seem sensible. And finally, I am happy to state publicly that I do not vaccinate any of the dogs in my care. My own researched belief is that vaccines cause more death and suffering than the diseases we vaccinate against. I do, however, hold firm to the principles of free choice and informed guardian consent. Without the information to base choices upon, no-one is giving their informed consent. They are merely relying upon the knowledge, training, and financial needs of the person whose advice they follow. The Merck Manual of Diagnostics and Therapy, sixteenth edition. DVM vaccine roundtable, Safety, efficacy heart of vaccine use; experts discuss pros and cons. DVM magazine, December 1988. Cancer Research 30, October 1970, ‘Spontaneous Development of Mammary Adenocarcinoma following Prolonged Immunosuppression in the Dog’. (Cytokine profile after rubella vaccine inoculation: evidence of the immunosuppressive effect of vaccination, Mediators of Inflammation, 12(4), 203-207 (August 2003)). JAVMA, Vol 207, No 4, August 15, 1995 – Current Concepts, are we vaccinating too much? Negina IuP, Comparative study of auto-antibody formation following immunization with different types of vaccines. ZH Mikrobiol Epidemiol Immunobiol 1980 May; (5): 69-72. Romanov, UA et al, Role of auto-immune processes in the pathogenesis of post vaccinal lesions of the nervous system. ZH Mikrobiol Epidemiol Immunobiol 1977 Oct; 10: 80-93. IARC International Agency for Research on Cancer; Summaries and Evaluations Surgical Implants and Other Foreign Bodies 1999 Feb 23; 74:24305-310. Smith, G.R. and S. Missailidis, Learning from cancer: The adaptive growth, wound and immune responses. Gene Therapy and Molecular Biology, 2009. 13(A): p. 158-185. Dog World, USA, March 1995, Dr Jean W Dodds, ‘Dysfunction in the immune system can compromise the body’s entire line of defense’. Concise Oxford Veterinary Dictionary, Oxford University Press, 1988. 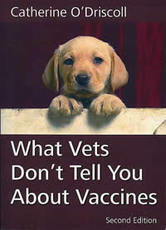 What Vets Don’t Tell You About Vaccines; Shock to the System, O’Driscoll, Abbeywood Publishing. You can be sure that I do not advocate leaving dogs totally unprotected against viral disease. Is it, however, possible to protect your dogs without risking vaccine adverse effects. Firstly, though, it’s important to understand that even vaccines do not guarantee protection. Dogs who are fully vaccinated can (and do) still come down with the diseases they were vaccinated against. Nothing is guaranteed. The homoeopathic nosode is one alternative, although it is controversial and has come under attack by pro-vaccine interests. Some say that the nosode is ineffective; others say it is effective. There are very few scientific studies supporting nosode use, although there are some. This might be because you cannot patent nosodes, since they are made from naturally occurring substances. As such, they will never become blockbuster drugs or generate billions in revenue for the pharmaceutical or vaccine industries. The people who typically fund scientific research – the pharmaceutical companies – don’t fund research that has no chance of producing massive revenue. To produce a nosode, homoeopaths take a virus, usually from saliva, and dilute it until it cannot even be measured by scientific instruments. The energy of the disease is thereby introduced, enabling the individual to recognise the virus and use the body’s innate healing capacities to deal with it. Nosodes are usually given in pill or liquid form as a preventative, and they can also be used to treat disease. The vet or homoeopathic pharmacy you obtain your nosodes from will provide dosage instructions, since instructions can vary. However, as a general rule, it’s usually something like: twice a day for a week, and then two or three times a week for a few weeks, followed by a repeat dose every six months. A kennel in Oxfordshire experienced a kennel cough outbreak, and invited the homoeopathic vet Christopher Day in to control the outbreak. Chris also invited a vaccine manufacturer in so that the merits of the nosode and kennel cough vaccines could be scientifically assessed. There were 40 dogs in the kennel; eighteen had been vaccinated against kennel cough, 22 had not. All vaccinated dogs had developed a cough, whereas only 19 of the 22 unvaccinated dogs had developed a cough. A homoeopathic nosode was given to all the dogs who entered the infected boarding premises subsequently: one dose on entry, and twice daily for three days. There were 214 dogs entering the kennel during the rest of the summer, all of whom received the nosodes – 64 had been conventionally vaccinated, and 150 had not prior to entry into the kennel. Of the 214 dogs, three of the 64 vaccinated dogs contracted kennel cough; one of the 150 non-vaccinated dogs contracted kennel cough. Apparently, the homoeopathic nosodes had halted the outbreak in its tracks. As a further exercise, any dogs showing just one very transient sign of kennel cough were recorded. This showed that 51 of the 64 vaccinated dogs showed evidence of slight symptoms, whereas only 40 of the 150 dogs who were not vaccinated showed any symptoms. Chris Day felt that this actually showed that vaccines were harmful in this situation! c) That vaccination impairs the ability of the animal to respond to the nosode. However, it is also worth noting that kennel cough vaccine datasheets state that the vaccine can cause ‘mild’ cases of kennel cough in vaccinated dogs. These dogs then go on to infect other dogs. John Saxton MRCVS VetMFHom, in IJVH Volume 5, No 1, 1991, presented a paper describing the use of the canine distemper nosode in disease control. Although not presented as a clinical trial, it was presented as a report upon a clinical problem which was significantly relieved by the use of nosodes. This involved a boarding kennel dealing solely with stray dogs under contract to the local police authority. As such, vaccination status was unknown. All animals not claimed or rehomed were destroyed on the 8th day after arrival. When the dogs arrived at the kennels, they were screened by experienced lay staff and those with no obvious signs of disease or injury were admitted directly into the main kennels. All others were placed in an isolation block for examination by the veterinary staff. It became clear that there was an unacceptably high incidence of clinical distemper associated with the kennels, despite all possible screening and management procedures. It was therefore decided to use the canine distemper nosode as a control measure in addition to general management measures. The homoeopathic nosode was prepared from a local clinical case, using nasal and ocular discharge, plus a swab from the tonsils. Prepared as a liquid, the nosode was administered via the dogs’ drinking water. The results showed that, of dogs kept in the kennels for eight days, 11.67% showed clinical signs of distemper on the 5th day prior to the introduction of nosodes, dropping to 4.36% after the nosodes were introduced. Where the entire kennel population was taken into account (including those dogs who left prior to the eighth day), the incidence of distemper dropped from 8.05% to 2.81% after the introduction of nosodes. Interestingly, the incidence of distemper rose markedly in the 8th and 11th months of the trial. Upon investigation, it was realised that one of the kennel staff had left the homoeopathic supply in direct sunlight for several hours prior to administration. When this storage practice was remedied, incidences of distemper dropped once again – indicating that the homoeopathic remedies were, indeed, having a positive effect. This trial was conducted by W Jonas, A Fortier, D Heckendorn and C Macy during 1991, and a paper was presented at the 5th LIBI meeting in Paris. The paper was entitled ‘Prophylaxis of Tularaemia Infection in Mice Using Agitated Ultra High Dilutions of Tularaemia Infected Tissues’. The principle of homoeopathy was proven in the human field in a significant breakthrough which took place in 1986, when it was shown, in controlled trials, that homoeopathy was helpful in preventing hay fever. Also, in 1995, a team from Glasgow University succeeded in proving, in controlled trials, that 30c (homoeopathic) potencies of pollen and house dust mite were more effective than placebos in treating hay fever and asthma respectively. The Indian government used homoeopathic Belladonna, Calcarea and Tuberculinum in 2000 in an attempt to control the incidence of Japanese encephalitis. In 1999, there were 1,036 JE cases and 203 deaths. And in 2002, there were no cases. During 2007, three provinces of the eastern region of Cuba were affected by strong rainfalls causing flooding of large areas and damage to sanitary and health systems. The risk of leptospirosis infection rose to dangerous levels with about 2 million people exposed to potentially contaminated water. The Finlay Institute prepared a leptospira nosode using 4 circulating strains. A multidisciplinary team travelled to the affected regions to conduct the administration of the nosode. Coordinated action with public health system infrastructures allowed the administration of a preventive treatment consisting of two doses of the nosode to about 2.4 million people. The coverage of the intervention rose up to 95% percent of total population of the three provinces at risk. The epidemiology surveillance after the intervention showed a dramatic decrease of morbidity two weeks after and a reduction to zero of mortality of hospitalized patients. The number of confirmed leptospirosis cases remains at low levels and below the expected levels according with the trends and rain regimens. Transfer factor is a component within colostrum – mother’s milk. When a newborn arrives, he doesn’t have an immune system. In dogs, the immune system develops over six months. It is provided initially by mother’s milk until his immune system develops. Transfer Factor supplements are the active concentrated part of mother’s milk. It is not only useful for disease prevention, but it can also help a dysfunctional (over or under active) immune system to return to normal. In a paper published in the American DVM magazine in 2003, the vet Kenneth L Marcella explains how Transfer Factor can kill bacteria and viruses, as well as protect individuals (human or animal) from cancer and other immune-mediated illnesses. Further information is available on this web link: http://chcstore.weebly.com/4life-transfer-factor.html. It would be a reasonable precaution to give a puppy Transfer Factor (which comes in capsule form) daily for the first six months of his life to protect him from viral and bacterial disease until his immune system is fully developed. No harm will come from giving Transfer Factor daily for life; it is likely to protect you and your dogs from viral and bacterial infection, and also reduce the effects of inflammation and autoimmunity. Diet is the cornerstone of good health. Hippocrates, the founder of modern medicine, said: “Physician, let food be thy medicine”. In fact, modern drugs are all about the management of disease, they are not about disease prevention. Diet is about disease prevention. Nutrients are known to help the body fight infection. Without adequate nutrients, the immune system has a hard time dealing with viruses and bacterins. Even fully vaccinated dogs, if deficient in key nutrients, may be unable to mount a defense against viral disease – which is one of the reasons for vaccine failure. This is why Canine Health Concern promotes natural feeding for dogs and warns dog owners of the inadequacies of processed (junk) pet food. Most pet food brands contain industrial waste (the inferior left-overs from the human food and agricultural industries), and these ingredients are cooked at high temperature to kill-off bacteria and fungus. Cooking destroys nutrients. Many nutrients are also flushed down the drain when water is extracted to form dry kibble. Dogs are predominantly carnivores. If left to their own devices, they would catch small to medium-sized prey such as rabbits, pheasants, rats, mice, lamb, chickens and so on, and eat them raw. They might also eat fish. In addition, they would scavenge – eating wild berries, wind-blown fruit, eggs, insects, and even faeces. Dogs also moved in with humans tens of thousands of years ago and shared our food. Since there was no processed factory-made food in those days, like humans, dogs have evolved to eat good quality (i.e., not factory-made) human table scraps. A good balance of raw meaty bones, plus a variety of the foods mentioned above, will keep your dog in good health, with a greater ability to withstand viral and bacterial disease. There are many very good books available to help you understand and implement raw feeding for your dogs. See the CHC website for suggestions. This is a herbal blend that supports dogs who have developed parvo and other viruses. Parvaid is said to have a very high success rate. Its sister product, Vibactra Plus, is a companion herbal blend that is another useful tool in your medicine chest. It is excellent at dealing with digestive upsets and upper respiratory tract infections, and is a natural antibiotic. Both of these products are available from the CHC store (http://chcstore.weebly.com). Canine Health Concern also has a list of members who keep Parvaid and Vibactra in their medicine chest, since both products have a long shelf life. We have on several occasions called upon our members to rush these herbal blends to people locally when their dogs or puppies have contracted parvovirus (despite being vaccinated in many cases). Speed is of great importance here – so do please telephone us in an emergency or, better still, consider stocking these lifesavers yourself. There are also many other natural antibacterial and antiviral products, including grapefruitseed extract, olive leaf extract and colloidal silver. Garlic is also shown to be anti-viral and anti-bacterial, so a fresh clove squeezed into your dog’s evening meal two or three times a week will be beneficial. CHC also stocks Neem products which help support the immune system.